﻿Students with backgrounds in engineering, chemistry and biology are welcome to our lab. We are committed in providing opportunities to highly motivated undergraduate students, school teachers, high school students to develop independent research and experiences. 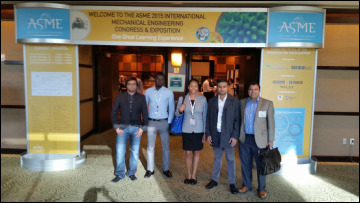 Team of graduate students from Bhattarai Research Group Participate at ASME 2015 International Mechanical Engineering Congress & Exposition. ASME's International Mechanical Engineering Congress and Exposition (IMECE) is the largest interdisciplinary mechanical engineering conference in the world. 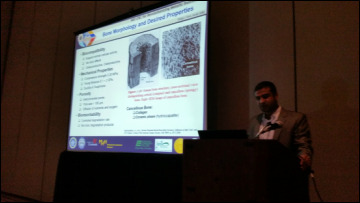 IMECE plays a significant role in stimulating innovation from basic discovery to translational application. It fosters new collaborations that engage stakeholders and partners not only from academia, but also from national laboratories, industry, research settings, and funding bodies. Among the 4,000 attendees from 75+ countries are mechanical engineers in advanced manufacturing, aerospace, advanced energy, fluids engineering, heat transfer, design engineering, materials and energy recovery, applied mechanics, power, rail transportation, nanotechnology, bioengineering, internal combustion engines, environmental engineering, and more. Undergraduate Student Brittany M. Hewlin participates at NC-LSAMP (North Carolina Louis Stokes Alliance for Minority Participation) conference. 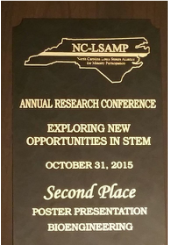 College of Engineering at the North Carolina A&T State University arranged several activities as part of the annual North Carolina Science Festival from April 10-26, 2015. Bhattarai Research Group along with Guilford County Middle School science teacher Ms. Cindy Nelson (Kernodle Middle School), presented an exciting science activity for 3rd, 4th and 5th grade students from Bluford Elementary School on April 24. We translated the exciting biomaterials research into the concepts that elementary school students could understand and become excited about it. This activity provided an engaging way to relate classroom instruction to real-world biomedical applications and intended to spark interest in pursuing future studies in STEM. Fabricating nanofibrous scaffolds by utilizing electrospinning technology has been investigated in our lab for nerve tissue regeneration. These students performed hands-on activities to model the electrospinning technology with cotton candy machine to fabricate sugar fibers. 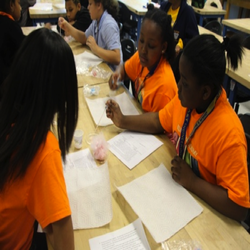 Students were engaged in learning scientific knowledge with understandable concepts and easy-to-implement experiments. 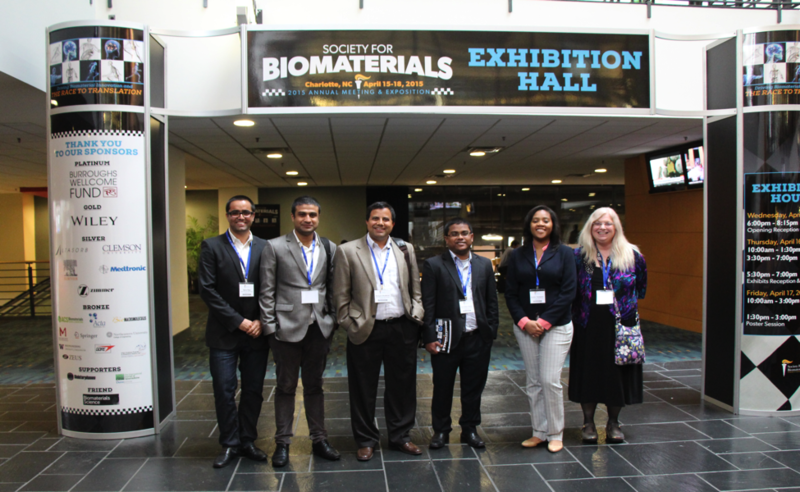 “Biomaterials Education Challenge” was a student design competition, in which group of students around the country were asked to develop innovative and practical approaches to biomaterials education. Students were challenged to develop hands-on educational modules for middle school (6th-8th grade) science class. Our education module “Modeling of Biomaterials Research for Middle School Science Students: An Inexpensive and Fun Approach to Hands-on Biomaterials Education” was designed to demonstrate a fundamental biomaterials concept suitable to a middle-school audience with hands-on and easily obtained resources. Bhattarai lab members from North Carolina A&T State University before going to the poster sessions and educational challenge. From left to right: Nava Rijal, Udhab Adhikari, Narayan Bhattarai, Shekh Rahman, Zanshe Thompson and Cindy Nelson. We have developed and implemented an Interdisciplinary Bionano Engineering Course Sequence through the CBBE program. This activity was developed under the funding support from NSF-NUE. Activity pictures of Science Extravaganza 2014 “Marvelous Marble Contraptions” (March 21, 2014). 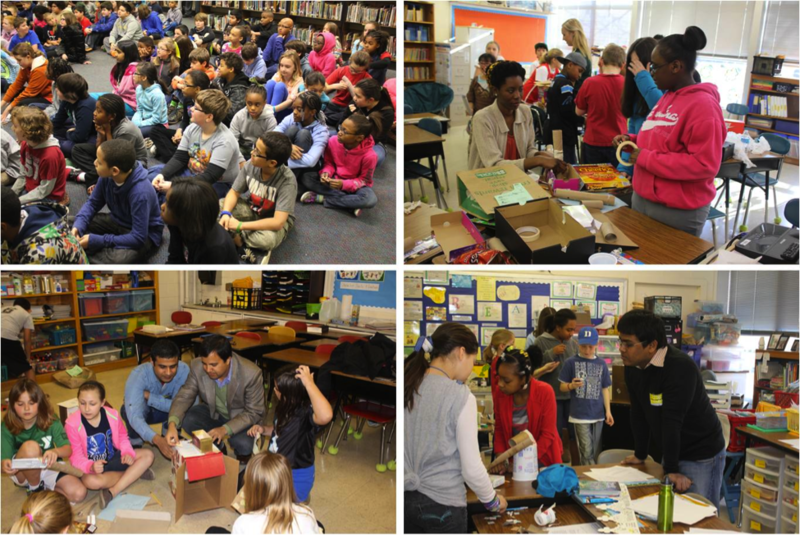 PI (Dr Bhattarai) and graduate students (Maame Boakye: upper right, Udhab Adhikari: bottom left, and Shekh Rahman: bottom left) assisted 3rd to 5th grade students with their projects. Student teams brainstormed clever contraption names to share with classroom volunteers and other groups as they demonstrated their team’s “Marvelous Marble Contraption”. Chad Chesley (REV/T- 2013- Bioengineering, NCAT): He is a veteran undergraduate student at NCAT. Christina Fenwick (REU 2013- Mechanical Engineering, NCAT): She was supported by NSF-NUE program. Accomplishments: Participated in group poster competition organized by ERC-RMB in 2013 and developed a teaching module for K-12 students. Accomplishments: Won first prize in group poster competition organized by ERC-RMB in 2011 and 2012, Nominated for highlights in NSF-ERC Annual conference 2011, developed a demo module for K-12 students and teacher (presented in NEW workshop 2011), paper published in ASEE 2012 conference proceeding. 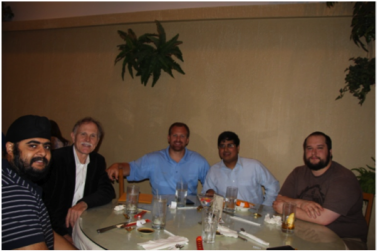 She did a three-month internship in our lab to obtain a certificate in Nanotechnology from Forsyth Tech Community College in 2012. Accomplishments: Participated in group poster competition organized by ERC-RMB. 8th graders of Jefferson Middle School, Winston Salem, NC (March 23rd 2012). Two 45 minute sessions were demonstrated. 108 students and two 8th grade science teachers actively participated. 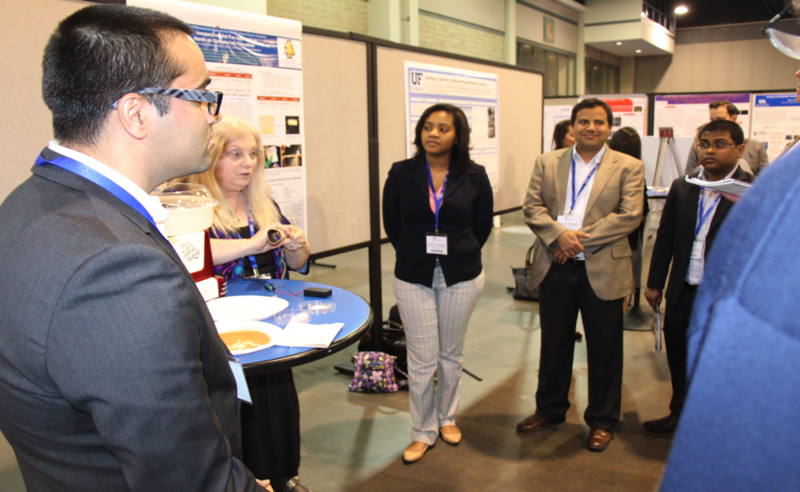 Under Dr. Bhattarai’s mentorship and assistantship provided by ERC-RMB, Mrs. Sonja Turner developed a K-12 outreach module “From Macromolecule to Nanofiber: Electrospinning Just the Technique for the Job” from her summer RET program in 2011/2012.